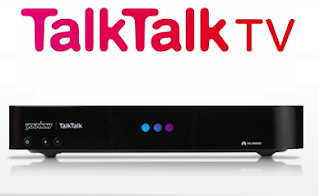 TalkTalk's TV service is undergoing some changes in August, with adjustments to packages and prices and the channels that subscribers can access in each so-called "Boost". As reported recently, Premier Sports will be removed from the YouView-based service during August as TalkTalk concentrates on the major sports channels from Sky and BT, which will give subscribers the option to access every televised Premier League match live. The Entertainment Extra Boost will be abolished, with subscribers moving to the separate Entertainment and Kids Boosts. “We regularly review our TV packages to ensure we’re providing the best entertainment and great value for money. While some channels and add-on TV Boosts will no longer be available, TalkTalk TV homes continue to enjoy great choice and flexibility and have access to more shows, channels, sports and movies than ever before. TalkTalk TV customers continue to have access to every major televised football match including all Premier League and UEFA Champions League fixtures - live on a single platform, in addition to international cricket, rugby and all four golf majors including the Ryder Cup through our Sky Sports and BT Sport packages. Customers also have access to the Box Nation Boost and have the option subscribe to the Premier Sports online player. We’ve added popular wildlife and documentary channels Nat Geo Wild, H2 and Crime + Investigation to our Entertainment Boost and launched the brand new TalkTalk FilmClub, which offers a great collection of 20 iconic on-demand movies. Viewers can still enjoy the Bollywood movies and TV Shows they love through our Asian TV Boost and Star TV Boost as well as continuing to watch Eros Now Online. TalkTalk TV subscribers who are affected by the changes are in the process of receiving emails detailing what the changes mean to their service.